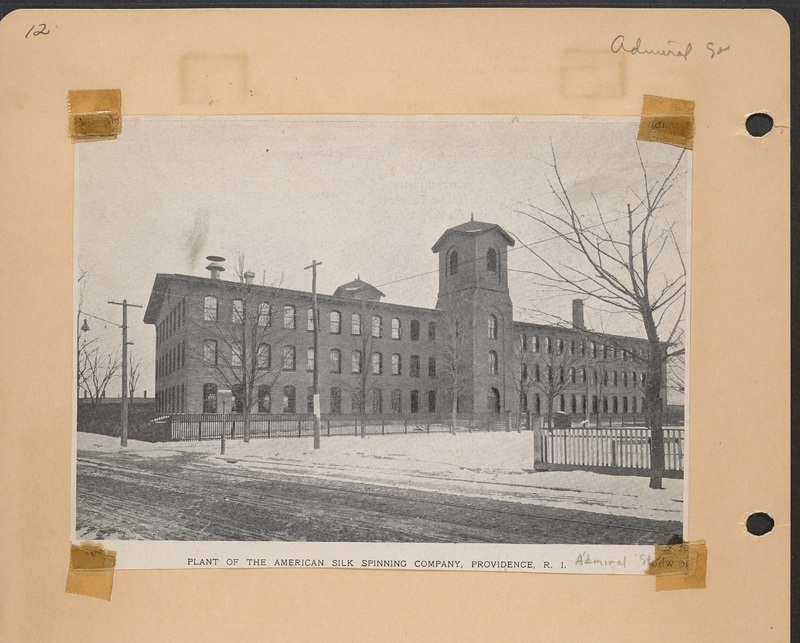 When Alfred Augustus Reed of Providence formed the Oriental Mills Manufacturing Company for the production of cotton sheet goods, he and his associates also formed the Oriental Print Works, located in Warwick, RI. Although the printworks failed during the Depression of 1873, production at the parent mill lasted until the Depression of 1893 when Oriental went out of business. The mill property was purchased by J.P. Campbell & Co., which continued cotton production until 1907. The following year, the mill property was purchased by Edgar J. Lowenstein and reborn as the American Silk Spinning Co. Despite its name, American Silk eventually would branch out into weaving synthetic fibers with considerable success until 1962. 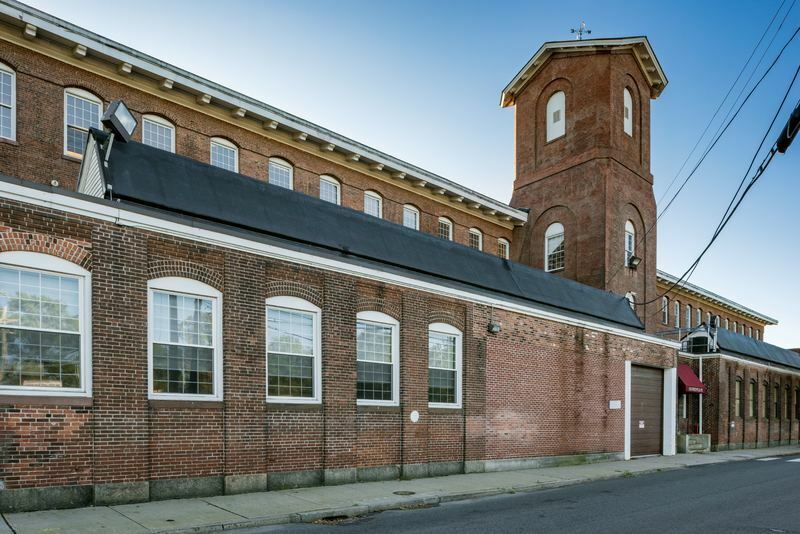 Union Industries of Providence then purchased the mill complex, transforming it into a production facility for packaging materials. 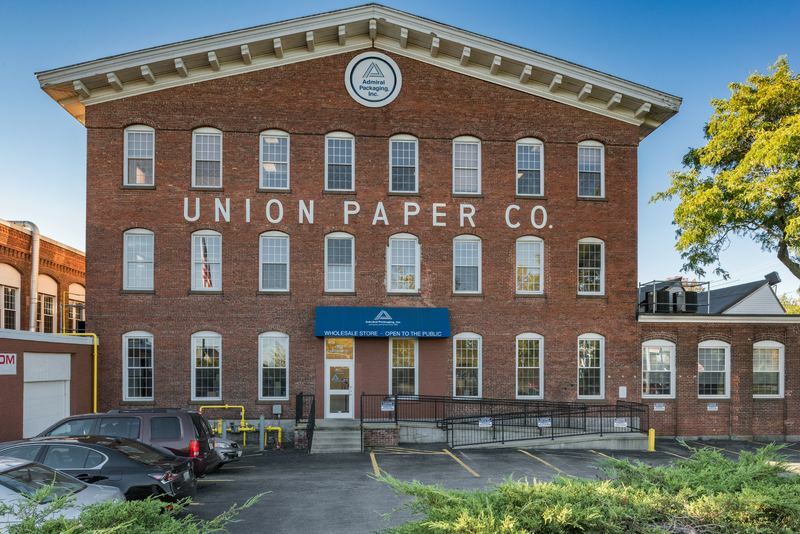 Originally known as Union Paper, the firm now calls itself Admiral Packaging Division of Union Industries. Today, the original mill serves as a showroom and corporate offices, with remaining spaces rented to other firms, while production continues in the more modern parts of the complex. The mill complex is located on the northeastern edge of Smith Hill at the southern end of what was the West River industrial district. Originally part of North Providence, this area began to develop as a factory corridor following construction of the Providence and Worcester Railroad in 1848. Noted Providence architect Niles B. Schubarth designed the original three-story production loft which is mostly visible today, although obscured by later single-story weave sheds on the west (Whipple St.) side and by other buildings to the east and south. Additionally, the original complex contained a smaller three-story loft as well as a power house, of which only the brick chimney remains. The main building is a classic “New England Mill” design, long and narrow to accommodate line-shaft mechanical power and copiously endowed with arched windows to allow for maximum natural lighting. The most distinctive architectural features of the site are the twin external stair towers on the east and west sides, originally crowned with helm roofs (one was lost years ago and not replaced). Despite twentieth-century modifications to windows and doorways and infilling of the site with more modern structures, the basic architectural integrity of the complex remains. Construction of this mill and its neighboring industrial facilities spurred rapid residential development in both Smith Hill and West River for the simple reason that factory employees needed easy pedestrian access to their places of employment. 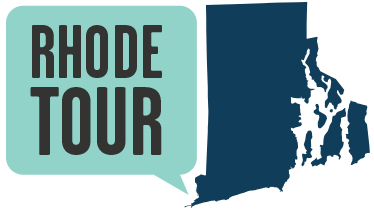 The City of Providence annexed this area by 1874, and urban amenities such as schools, churches, public safety installations and public transit gradually followed. Very little of this development remains today, the result of highway construction, urban renewal, and the de-industrialization of the city. The West River residential neighborhood to the north has entirely disappeared along with most of its factories. Railroad roundhouses and storage tracks to the east likewise are gone. The extensive Chad Brown/Admiral Terrace housing project on the west side dates only from the 1940s. Thus, the old mill seemingly stands alone, without historical context save for remnants of old Smith Hill to the south. Admiral Packaging: Here, another view of the mill can be seen in 2017. The Union Paper Co. lettering still decorates the brick above the entrance. James Frutchey , “Admiral Packaging,” Rhode Tour, accessed April 21, 2019, http://rhodetour.org/items/show/245.